Which game publishers released the best games last year? For the seventh straight year, we have sifted through 12 months of data to determine the best and worst game publishers of the year, based solely on the quality of their 2016 releases. Sales and user reviews do not factor into these rankings; only critic reviews (as captured by each game’s Metascore) are used to evaluate performance. We divided publishers into two separately ranked groups, based on the number of games they released during the last calendar year. Our first group consists of the largest companies, who each published 12 or more unique titles (with Metascores) during 2016. (The cutoff was formerly 14 or more unique titles, but we reduced it this year due to an industry-wide decline in the number of games published by most companies.) The remaining “mid-size” publishers, detailed further down the page, each released between 6-11 unique titles last year. Publishers with 5 or fewer unique titles are excluded. Note that the Metascore average (the first factor) counts slightly more than the other factors. (Detailed scoring information appears in a table below the rankings.) In addition, note that iOS games are not included in the figures below. Yes, the publisher that gamers love to hate had a pretty great 2016, leading all companies with an average Metascore of just shy of 80. The 35-year-old EA saw an impressive 79% of its releases receive positive reviews from critics, also tops among all publishers. That’s an impressive turnaround from the previous year, when just one-third of the company’s releases had green Metascores. EA Sports-branded games averaged nearly 81 (with every release receiving positive reviews), while the publisher’s non-sports games averaged just over 79. None of EA’s games hit the 90 mark, but several came close, including a Titanfall sequel and its WWI-era Battlefield entry Battlefield 1, which also had the best launch of any game in the series to date. Square Enix was our #5 mid-size publisher in last year’s rankings, but jumped up to the majors this year by greatly increasing its quantity of titles released (by 17). Impressively, it did so without sacrificing quality; in fact, Square Enix actually had a higher percentage of products receiving positive reviews than it did a year ago. And the publisher’s newish indie games initiative, Square Enix Collective, got off to a strong start by releasing a pair of positively reviewed titles in Portal-inspired puzzler The Turing Test and point-and-click adventure Goetia. Despite the fact that its Wii U console spent the year fading into irrelevance, Nintendo had more unique titles than any other publisher and managed to improve the overall quality of its releases—mainly by sticking to its handheld device. Nintendo’s 3DS games averaged two points higher than its Wii U releases (which numbered just 7 on the year, led by remake The Legend of Zelda: Twilight Princess HD). The coming year, of course, should be more interesting, with Nintendo launching its new Switch console next month. Unlike Nintendo, Sony has abandoned its handheld hardware, opting not to publish any games for the Vita in 2016. All 23 of its scored releases were PS4 titles, led by our overall 2016 game of the year, Uncharted 4: A Thief’s End. Despite that game’s impressive score, Sony saw its Metascore average drop by over three points over the past year, while its percentage of games receiving positive reviews fell from 54% to 43%. One reason for the decline appears to be a variety of unimpressive software for the PlayStation’s new VR headset, with VR titles accounting for nine of Sony’s 14 lowest-scoring releases in 2016. Jumping up to the major group this year, XSEED saw its Metascore average remain about the same despite a drop in its percentage of releases that received positive reviews from critics (which fell from 54% a year ago to just 37% this year). 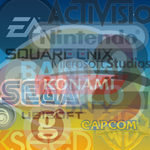 After several years in our mid-size publishers group, the 37-year-old Japanese company returned to the majors this year by increasing the number of titles released. But 2016 was not a great year for Capcom, which saw its Metascore average fall by nearly six points. The reason? Quite a few lackluster Resident Evil (re)releases. All eight of its lowest-scoring games last year were part of the Resident Evil franchise; subtract all RE products, and Capcom’s average score rises to a very good 78. (That problem seems like it has been corrected heading into 2017, as Capcom’s new Resident Evil game is receiving strong marks from critics.) But Capcom also shied away from major releases last year (one reason, perhaps, that sales declined), and failed to release any new properties. Despite the introduction of its hit new multiplayer shooter Overwatch, Activision Blizzard experienced an unimpressive 2016, with only 45% of its products winning critic approval (compared to 54% the prior year). But get rid of the lousy movie tie-ins Ghostbusters and Teenage Mutant Ninja Turtles: Mutants in Manhattan and Activision’s average jumps up to nearly 79. The average for Blizzard-branded releases, by the way, is just under 85 (for the second straight year). Despite modest improvements in average Metascore and in the percentage of products receiving positive reviews from critics (which rose from 31% to 39%), the venerable Japanese company once again finds itself near the bottom of our list. There’s no one culprit to point to; merely a large number of mediocre releases and a lack of any notable new properties. Perhaps the novelty of episodic adventures based on your favorite pop culture franchises has worn off, as Telltale saw its average Metascore decline for the second straight year. (It was nearly 80 just two years ago.) Take out two third party titles (developed by an outside company) and Telltale’s average increases a bit, to 72.5. But it’s not a good sign that critics approved of just 31% of the company’s 2016 releases (compared to 55% the previous year). Ubisoft finished dead last for the second consecutive year, thanks in large part to finishing 2016 with the lowest average Metascore of any major publisher. Only 29% of Ubisoft’s releases scored positive reviews from critics—lowest among all major publishers, sure, but actually an improvement over the prior year, when Ubisoft’s success rate was just 18%. Each of the “mid-size” publishers listed below released between 6-11 unique titles in 2016. They are ranked according to the exact same methodology we used to rank the larger publishers above, earning points for average Metascore, % of releases that earn positive or negative reviews, and the total number of great games. Paradox shot up from #7 a year ago to the top slot in our mid-size rankings this year. The PC publisher’s 2016 slate was led by Hearts of Iron IV and Tyranny, though it had only mixed critical success with a pair of expansions to its recent hit Cities: Skylines. Our #1 major publisher a year ago dropped into the mid-size group this year by releasing three fewer unique titles. Sega’s best 2016 release was Total War: WARHAMMER (PC). Racer Forza Horizon 3 was Microsoft’s best Xbox One release, while Ori and the Blind Forest: Definitive Edition also scored big for both Xbox One and PC. But the company’s new IP (including Cobalt, ReCore, and Quantum Break) met with mixed reviews at best. Without any new Rockstar releases in 2016, it fell to 2K Games releases Civilization VI and XCOM 2 to lead the way for Take-Two. But 2K’s attempt to launch a new franchise, Battleborn, fell flat with reviewers and gamers. WBIE’s 2016 slate was topped by PC release Dying Light: The Following – Enhanced Edition, but the company’s otherwise strong average score was weighed down by a number of so-so LEGO-branded releases. Our #1 mid-size publisher a year ago, Bethesda dropped a bit this year despite the presence of the well-received Dishonored 2. The blame can be placed on poor scores for a rather large number of Fallout 4 expansions. The British game company improved the quality of its releases quite a bit in the past year, thanks to well-reviewed titles like Overcooked. Japanese PC game publisher Degica didn’t release enough titles to be ranked last year. Its 2016 slate was topped by OneShot. Sony and PC publisher Devolver was the #5 ranked major publisher in our previous rankings, but released five fewer unique titles in 2016 than the year before. The company actually performed slightly better over the past year, led by Vita release Downwell. Twin disappointments Mighty No. 9 and Homefront: The Revolution weighed down the German publisher’s stats for 2016. A distributor of indie games, Digerati managed to release just one positively reviewed product (Letter Quest: Grimm’s Journey Remastered) in 2016.